Although sports writing jobs are in high demand among freelance writers, having the skills and knowing where to look for opportunities can land you your dream gig. Whether you're looking for a great magazine to publish your articles or seeking a website or blogging job that will offer continuous work, there are some great freelance opportunities out there. Always check specific publishers' guidelines to ensure you have the most up-to-date information. No matter what aspect of sporting you enjoy, there's a magazine out there that covers it. Many of these publications accept submissions and queries from freelance writers to make up some or all of their content. Click on the following magazine names to see their submission guidelines for freelancers. Adventure Cyclist - Adventure Cyclist is a high-quality magazine devoted to bicycling. They accept article ideas and manuscripts from freelance sports writers between June 1 and October 31. You can use their online submission system to submit your work. 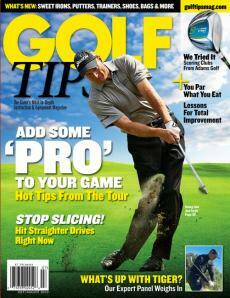 Golf Tips Magazine - Consider submitting a query to Golf Tips Magazine if you enjoy writing about all aspects of golf. They recommend sending an email query for your best chance at publication. Gray's Sporting Journal - Covering everything from fly fishing to big game hunting, Gray's Sporting Journal is a respected magazine that encourages freelancers to submit complete manuscripts for consideration. They accept both fiction and non-fiction. Outside - Focused on all aspects of outdoor living, this magazine encourages freelance sports writers to submit interesting ideas for article. They look for pieces that are thought-provoking and go beyond the facts. Sport Fishing - If you enjoy writing about saltwater fishing, you can submit a query to Sport Fishing. They also accept full, speculative manuscript submissions, but they recommend you suggest your idea before you begin writing. The Sport Digest - The official magazine of the United States Sports Academy, The Sport Digest publishes freelance pieces on everything from sports psychology and social issues to general fitness. They accept full article submissions of 300-500 words. If you have an idea for a book-length project about your favorite sport or other related topic, there are many publishing companies that specialize in this type of material and hire freelance writers. Consider one of the following publishers. MVP Books - Publishing books on all aspects of sports, MVP Books accepts unsolicited queries from authors. Send them your proposal to see if your book idea might be the next best seller. Sports Publishing - Specializing in publishing and direct sales of books focused on sports, this publishing company accepts query letters from freelance writers. You'll need to include a chapter outline, synopsis, and bio. Lorimer - This Canadian children's book company publishes a series of fiction books for children aged 10 to 13, called Sports Stories. They actively seek writers to submit manuscripts for this series. Breakaway Books - Breakaway Books is a publishing company that specializes in fiction, poetry, and creative non-fiction about all aspects of sports. They recommend you submit a query before sending your manuscript. Mountaineers Books - Publishing non-fiction about outdoor sports like canoeing, climbing, and other adventure activities, this company accepts proposals from freelancers. You'll need to include a chapter outline, synopsis, and bio. Although sports commentators often have to speak extemporaneously during games, features and other sports stories are usually written in advance. Staff writers often handle this work, but some radio shows hire freelance writers to create these pieces. For some jobs, the writer may need to actually read the piece and send the recording to the show. If this is the case, you'll need appropriate recording equipment. It's not easy to find postings for these types of gigs, but there are a few out there. Consider the following options. Only a Game - This radio show is hosted by Bill Littlefield of NPR, and it accepts story pitches from freelancers. You'll need to be able to describe your idea concisely, and you'll need the necessary equipment for recording if you are chosen. BBC - The BBC hires freelancers for a variety of positions, which can sometimes include stories on international sports. You can learn more about the training required and find out if there are any current opportunities in your area of expertise. Additionally, contact your local radio stations about writing for their sports programs. They may not be advertising, but they may give you a shot anyway. If it works out well, it could become a regular source of income. Writing for the Internet is a great way to expand your sports journalism resume and make money at the same time. There are many lucrative opportunities out there, and there are several websites and blogs that regularly hire freelance sports writers to provide content. Try applying to some of the following websites. InsideHoops.com - Devoted to covering all aspects of professional basketball, this renowned website encourages submissions from freelance writers. They accept previously unpublished stories that are pasted into an email. Active.com - Although this site does not pay for the sports pieces it publishes, it does offer exposure and a byline. If you're just starting out, this can be a good way to build your freelance resume by writing about everything from running to injury prevention. Bleacher Report - This popular site covers all kinds of professional sports, including hockey, golf, NASCAR, and football. They are always looking for contributors, although they have high standards and are most interested in sports journalists with plenty of previous experience. FanSided - FanSided is a parent site that runs dozens of sports blogs, and they are interested in experienced sports writers who can contribute a minimum of 24 posts per week. Writers gain exposure, and, they can make additional income as the blogs grow and perform. Rant Sports - This site covers soccer, football, basketball, and many other sports, and the staff is always on the lookout for new writers. You can apply to be a paid writer by emailing at least one sample piece and your resume. NWSportsbeat.com - This high-profile blog covers sports in the Northwest, including basketball, football, and more. They pay their contributors and are always looking for new bloggers. Although times are hard for print newspapers, many small and large communities still have a paper that covers sporting events in the area. Working for the local paper was the classic path to success for sports journalists before the Internet, and it still represents a great way to earn income and gain experience. Most papers pay by the piece and, according to the Bureau of Labor Statistics, you can expect to make an average of about $17 per hour. This rate varies significantly with the size of the paper. To apply to your local paper, contact the sports editor with your resume and a couple of great sample pieces. Be polite and persistent, and the paper may give you a chance to prove yourself. There are also a number of freelance writing job sites on the Internet that collect listings for open sports writing gigs. These sites are updated regularly, and they can be a good way to find open positions. However, many sports writers are watching the same listings and applying for the same positions, so competition for these publicized jobs can be fierce. Check out the following sites for open sports writing positions around the world. SportsJournalists.com - This site collects freelance sports jobs from everywhere, including the Internet, national publications, and local papers. It's a good source for up-to-date listings. Associated Press Sports Editors - Based at Indiana University, this highly-reputable site collects sports journalism jobs from all over the country on their help wanted page. 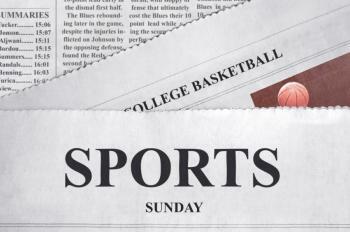 Workinsports.com - This site accepts direct postings from newspapers and websites seeking sports writers. They don't have the same volume of positions as sites that actively seek out job postings, but this is still a good place to look for work. Whether you've already established yourself as a sports writer or you're looking for freelance jobs for beginners, keep the following tips in mind to find clients and get hired to produce great sports content. With constant access to articles and blog posts reporting the facts about a game, readers have a lot of options for learning the score. It helps to distinguish your work by using your unique voice. Also try to interest readers who aren't sports fans. This type of writing can help you land jobs with newspapers and sites that are trying to expand their audience. Sometimes, it makes sense to take jobs that don't pay competitively if they help build your resume. Having a large selection of previously published clips can impress future clients. Think about the sport or aspect of sports that interests you the most, and then write about it on your blog. Update your blog regularly to show potential clients you can consistently produce quality sports content. Finding freelance sports writing work can take persistence, but your effort will pay off. Soon, you'll be writing about what you love and paying your bills using your talents.